The Oyster guide to Romania gives you a great snap shot into life within this fascinating country, from the weather to the history, from culture to skiing. Dip in to find out why we find this country fascinating. Oyster Worldwide has been sending travellers to Romania since 2003 – and on many occasions our participants have described it as the “hidden gem of Eastern Europe”. We couldn’t agree more. Jagged mountains, diverse wildlife, complex cultures, medieval cities, a way of life that at times seems unchanged for many centuries – what’s not to like? The country itself has a real mix of ancestry, dating all the way back to the Romans. Thanks to wars, famines and nomadic lifestyles, the country is now made up of Romanians, Roma, Magyars, Germans, Russians, Ukrainians, Serbs, Slovaks, Bulgars, Turks and Tatars – bringing a rich mixture of culture, food and lifestyle into one. Despite being one of the poorer countries in Europe, Romania demonstrates great resilience and its people are very proud of their homeland. In the late 1900s it faced economic ruin after disastrous communist rule, bringing repression from the secret police and a damaging deterioration in living standards. These events have only made the country stronger, and in 2004 they joined NATO, swiftly followed by the EU in 2007. Romania is a country of contrast, with its cities boasting beautiful buildings, winding streets and bags of history, and its countryside bursting with stunning scenery, traditional ways of life and wildlife abound. Want our advice? Go now. Before everyone else does. Like many former Eastern Bloc countries, Romania has an interesting and complex history. The 1970s – 1980s saw a rise in communism, led by Nicolae Ceausescu. During the first few years of his dictatorship he was a popular leader, helping his people to lead lives that were more plentiful and more free. Problems started to emerge when it became obvious that his economic policies were failing. Living standards and wages started to plummet. Ceausescu believed that the key to growth lay in building a larger workforce, and in 1966 he banned abortions and contraception for any married woman under 40 with fewer than four children. Later, in the 1980s, unmarried people and couples without children were penalised with higher taxes. IFamilies, friends and neighbours were encouraged to inform on each other as the state policing levels increased – it is believed that as many as 1 in 4 people were state informers in the 1980s. By this time, a huge wave of discontent had passed over the country, linked closely with the fall of the Soviet empire in other Eastern European countries. Finally, the oppression within the country led to revolt, and the eventual capture and execution of Nicolae Ceausescu on Christmas Day 1989. The result of Ceausescu’s scheme to increase the workforce was that more and more women were having children that they simply could not afford. The economic turmoil meant that families had less money to live on as it was. Increasingly, mothers had no choice but to abandon their children in dire state orphanages, desperately understaffed and underfunded. Children were effectively left with no stimulation, affection or education, living in squalor. 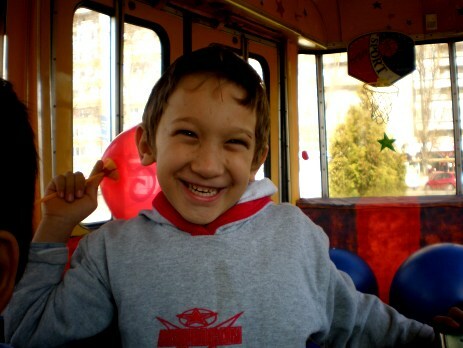 Images of children living in appalling conditions flooded the Western media in the 1990s, and emergency aid and volunteers arrived in Romania to help these children and the institutions. Since then, large state orphanages have mainly been shut down, replaced by children’s homes where children live in a family unit, living as any other child with access to schooling, play, companionship and stimulation. Sadly, there is still a long way to go, and Oyster volunteers are working with children in these homes to give the children care, friendship and love. The capital city of Romania is Bucharest, a fantastically bizarre city which is worth at least a couple of days’ visit. Its history has meant that the city has a confusing mishmash of architecture – from grand parades not dissimilar to western cities, to huge towering communist buildings from the late 1900s, from ancient churches to the enormous People’s Palace (now known as the Palace of Parliament). 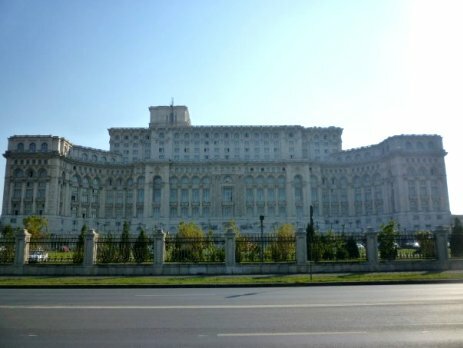 This huge building was created in the 1980s to demonstrate Ceausescu’s strength and greatness. 40,000 people were displaced to make room for this enormous building. A stadium, several hospitals and over 20 churches and synagogues were demolished to create space for its construction – the course of Dambovita river was even altered. Only three historic Orthodox churches were saved, and these can now be seen peeking out of the mass of 1980s architecture in an enchanting and stubborn way. A buzz of restaurants, bars, museums and shops have popped up amongst this chaotic architecture, giving the impression of a city that will always overcome adversity. The second city of Romania is the medieval Brasov, a maze of cobbled streets, charming cafes, bars and restaurants, all set at the foot of the towering Mount Tampa. The capital of Transylvania, Brasov is the perfect staging post for exploring the Carpathian Mountains, seeing bears and indulging any Dracula desires that you have. 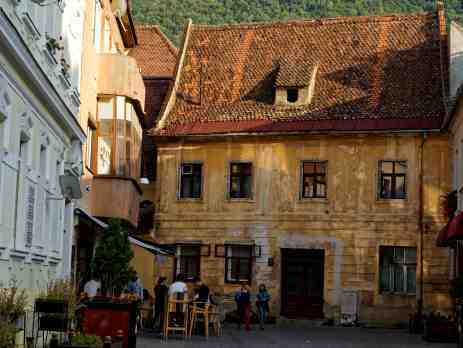 The beautiful city of Sighisoara, Dracula’s birthplace, is within easy distance of the city. Other cities worth your attention are Timisoara, the third largest city, and the enchanting Sibiu – resplendent with brightly painted streets, cobbled paving and fascinating culture. Think of Romania and you may well think of Dracula. The common idea of Dracula is of a vampire count, derived from Bram Stoker’s novel in 1897. The reality is actually unsurprisingly different: Vlad Tepes, or Vlad the Impaler, was a successful fighter and strict ruler in the 1400s, his reputation for cruelty renowned throughout Europe. He reigned over a country with little crime, for his punishment for even the most minor infraction was death by impaling. His viciousness often led to him being associated with the devil, although he was not accused of being a vampire during his lifetime. It was only later when vampires become popular in folklore that the association was made. Dracula’s Castle in Transylvania is located in Bran, just 20 – 30 minutes from the medieval city of Brasov. It is not where Vlad Tepes lived, but he did conquer it. 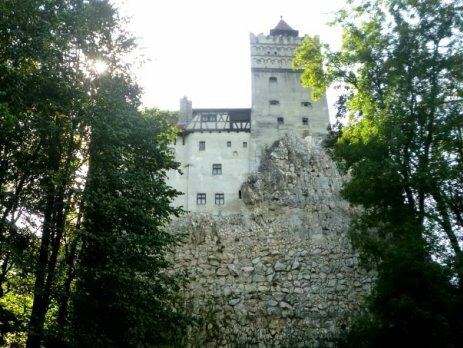 It certainly does look like a vampire’s home, perched precariously on a high rock, with tall turrets and ramparts set against a wooded mountainous backdrop. The town of Sighisoara is where Vlad the Impaler was born, and its ancient winding streets and cobbled squares certainly sets the scene for vampire tales. 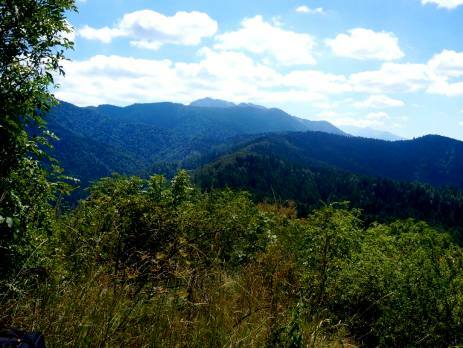 Two thirds of Romania is either plains, hills and plateaux, making it ripe for the outdoors explorer. 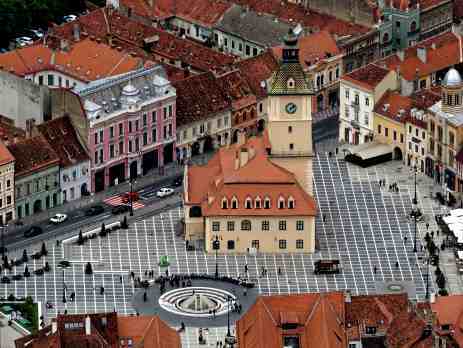 In addition to that, the country’s geography is dominated by mountains, centred mainly in Transylvania. 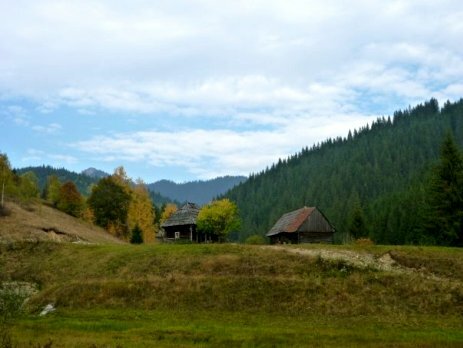 These conditions make Romania perfect for hiking, skiing, caving and even white water. With the mountains come animals such as wolves, bears and boars, making it a wildlife spotting haven. In contrast, the Danube Delta is a largely flat area of which only 10% is dry land, where each year over 300 migrating birds stop off on their spring and autumn migrations. This phenomenon is a sight not to be missed. Rural life can often feel like nothing has changed over the past several decades, and that is certainly part of the appeal. Don’t miss the mass of festivals in villages throughout the year – weddings, deaths, religious events and agricultural celebrations all bring some interesting entertainment throughout the country. Romania has the most important national populations of large carnivore species in Europe, including bears, wolf and lynx. Ceausescu protected bears for his personal hunting forays, meaning that there are now about 6000 bears living in the wild in the Carpathians. There is also a population of around 2000 wolves. Other animals include wild boar, lynx, red deer, chamois, bison and golden jackal. Despite the large populations of wild bears, there is also a tragically high number of mistreated bears in the country. Historically, bears have been taken from the wild and trained to entertain tourists, either in circuses or dancing in the streets, or kept in zoos in horrible conditions. Luckily these practices came to an end when Romania joined the EU, but a surprisingly high number of bears are still found in private gardens and businesses. The hunting of bears is legal, although tightly constricted, but illegal hunting is prevalent. Hunters often kill mother bears, and abandon the cubs. 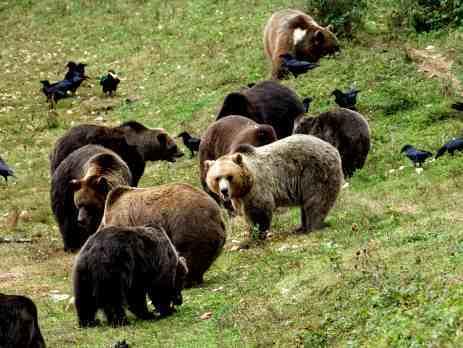 Because of this, it is unsurprising that Romania is home to Europe’s largest bear sanctuary. Over 90 bears are kept in huge wilderness enclosures, cared for by a passionate team and Oyster volunteers. These bears have been rescued from dire situations, and to see them enjoying life in the wild is an incredible experience. A must for any itinerary in Romania. Romania is a growing destination on the skiing scene, becoming increasingly popular with Europeans looking for excellent skiing, quiet pistes and amazing prices. The largest ski resort is Poiana Brasov, although there are many other smaller resorts in the Transylvania region. The ski season usually lasts from mid-December to mid-March. Brasov is very well known for a variety of winter sporting opportunities, from ice skating to snowboarding, from skiing to snowshoeing. Romanian food is generally on the wholesome side, and pretty filling. Think good stews and lots of meat and you are pretty much there! The most authentic Romanian dish is sarmale – cabbage leaves stuffed with rice, meat and herbs – delicious! The national drink is ţuică, a tasty, powerful brandy usually made of plums, taken neat. One of the most popular beers is a lager called Ursus – which means “bear”. Vegetarians may struggle in rural parts of the country, but in the cities there is a proliferation of restaurants catering to all taste buds. Buying food in markets and supermarkets is very cheap, and even eating out you could get a great meal with a glass of wine for the price of a main meal in the UK. 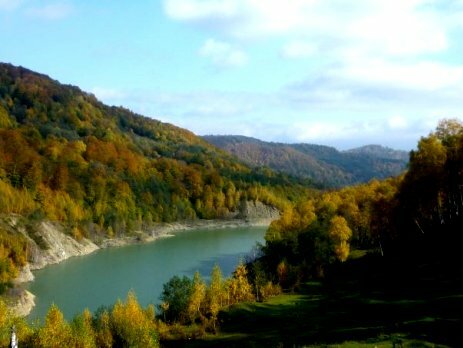 Romania has dramatically different seasons, and is glorious to behold in all of them. In the winter, the country is covered by a blanket of snow and temperatures can get below freezing. This is a wonderful time of year to enjoy Christmas markets, skiing, winter hiking, see the bears play in the snow at the bear sanctuary and have the country pretty much to yourself – many tourists stay away at this time of year. The spring brings wild flowers to the mountains and a flurry of wildlife activity. The days are mild, although there can be showers between the sunny skies.This is a lovely time of year to get the best of all worlds – you may see snow and hot sun within just days of each other. This is a great time of year for city sightseeing as well as seeing the great outdoors – just plan your activities around the weather! The summer brings hot sunny weather, especially between July and August. This is a fantastic time of year for hiking and visiting the mountains, where it is slightly cooler. 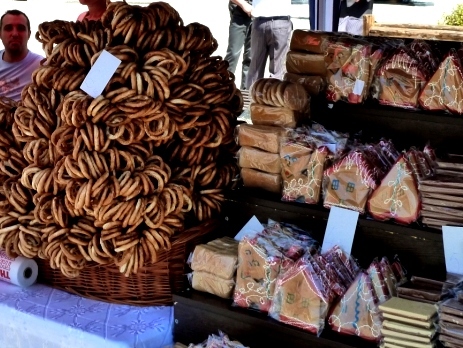 There are loads of festivals in Transylvania, and the countryside is positively vibrant. The autumn brings dramatic oranges, reds and yellows to the trees, and often can stay quite mild until suddenly dipping into winter. The autumn is another wonderful shoulder season, allowing you to enjoy sightseeing and visits without the crowds, and hopefully with good weather. The currency in Romania is the leu, or Romanian lei. Generally you can get 5 lei to £1. The cost of living in Romania is much lower than western Europe, including for things such as travel, food and souvenirs. Accommodation is increasingly expensive in the few places in the country where tourists abound. Previous Post Orangutans are on the brink of extinction in Borneo &#8211; let&#8217;s change that!